Zhun Xu and Jay Zhao, Microphotoacoustics Inc. Switching from optical resolution to acoustic resolution allows scientists to extract more information from samples. Photoacoustic imaging, emerging as a promising biomedical imaging technology, combines the advantages of optical imaging (high sensitivity) and ultrasonic imaging (low scattering). With ultrasonic detection of optical absorption in biological tissues, photoacoustic imaging yields a relatively large depth-to-resolution ratio among all the optical imaging technologies.1-7 During the imaging process, the target is irradiated by a pulsed laser beam, and the ultrasonic waves are generated through thermoelastic conversion and detected by an ultrasonic transducer. A new integrated rapid-scanning PAM (photoacoustic microscopy) system (Figure 1) is switchable between optical-resolution PAM (OR-PAM) and acoustic-resolution PAM (AR-PAM), which can provide biological functional information in tissue with high resolution and depth. Figure 1. A new photoacoustic microscopy (PAM) system is switchable between optical-resolution PAM and acoustic-resolution PAM. This flexibility can provide functional information in tissue with high resolution and depth. Images courtesy of MicroPhotoAcoustics Inc. In the system, two Q-switched fiber lasers (for OR- and AR-PAM, respectively) provide photoacoustic irradiation at a wavelength of 532 nm. By replacing a single-mode fiber with a multimode one configured with a different collimator lens, keeping all other parts unchanged, it is easy to switch between OR-PAM and AR-PAM modes. The B-scan rate for OR-PAM across a 2-mm line is ~5 Hz (0.625-µm step size), and for AR-PAM, ~50 Hz (6.25-µm step size). By using nanotubes as targets, the lateral resolution of the OR-PAM was measured as 2.56 µm, in good agreement with the theoretical resolution, calculated as 0.61λ/NA ≈ 2.55 µm. Several in vivo mouse images obtained by the system are shown in Figure 2. Figures 2a and 2b are mouse ear and brain OR-PAM images. During the brain imaging process, the scalp was removed, but the skull was kept intact (Figure 2b). Taking advantage of the high lateral resolution, OR-PAM resolves capillaries very well. Figure 2c is an AR-PAM image of the mouse’s back. Vasculature structure lying ~400 nm to 1.2 mm beneath the surface is revealed. Figure 2. In vivo images of a mouse: (a) mouse ear and (b) brain imaged by optical-resolution PAM; (c) mouse back imaged by acoustic-resolution PAM. The photographs are shown in the left column. The photoacoustic amplitude in each image in the right column was normalized. One special application of PAM is in revealing the use of oxygen by tissues; i.e., the blood oxygen saturation (sO2), especially the sO2 distributions in capillaries.5,16 This is achieved by using the spectral difference between oxy- and deoxyhemoglobin. In this work, two lasers at wavelengths of 532 and 560 nm were triggered sequentially to irradiate the imaging target at each point (A line) in B-scans. A photodiode monitored the fluctuation in laser intensity. The maximum-amplitude-projection (MAP) image at 532 nm and the sO2 image are shown in Figures 3a and 3b, respectively. Figure 3. Revealing blood oxygen saturation is one application of PAM. Here, in vivo mouse ear blood-oxygen-saturation images: (a) maximum-amplitude-projection image at 532 nm; (b) sO2 image. The combination selectively provides high-resolution images of relatively shallow features and useful images, albeit at lower resolution, of deeper structures and targets. It effectively bridges the scales of microscopic research and clinical practice. Figure 4. Human images (all at 532 nm): (a) cuticle image by optical-resolution PAM; (b) palm image; (c) inner forearm by acoustic-resolution PAM. Regions of interest are indicated by black rectangles. The photoacoustic amplitude in each subfigure was normalized. Zhun Xu is a biomedical researcher at MicroPhotoAcoustics (MPA) Inc.; email: johnxz@biompa.com. Jay Zhao is a research scientist at MicroPhotoAcoustics; email: jay@a-optowave.com. MPA is a spinoff from Advanced Optowave Corp., founded in 2010 with the inventors of 3-D PAM. Multiple patents have been licensed from Dr. Lihong Wang’s Optical Imaging Laboratory at Washington University in St. Louis. This project was sponsored by the National Institutes of Health Small Business Innovation Research grant 1R43HL106855-01. 1. L.V. Wang and H.-i Wu (2007). Biomedical Optics: Principles and Imaging. Wiley-Interscience. 2. K. Maslov et al (2005). In vivo dark-field reflection-mode photoacoustic microscopy. Optics Letters, Vol. 30, Issue 6, pp. 625-627. 3. E.Z. Zhang et al (2009). In vivo high-resolution 3D photoacoustic imaging of superficial vascular anatomy. Physics in Medicine and Biology, Vol. 54, Issue 4, pp. 1035-1046. 4. J. Yao et al (2010). In vivo photoacoustic imaging of transverse blood flow by using Doppler broadening of bandwidth. Optics Letters, Vol. 35, Issue 9, pp. 1419-1421. 5. S. Hu et al (2011). Second-generation optical-resolution photoacoustic microscopy with improved sensitivity and speed. Optics Letters, Vol. 36, Issue 7, pp. 1134-1136. 6. H.F. Zhang et al (2006). Functional photoacoustic microscopy for high-resolution and noninvasive in vivo imaging. Nature Biotechnology, Vol. 24, pp. 848-851. 7. X.D. Wang et al (2003). Noninvasive laser-induced photoacoustic tomography for structural and functional in vivo imaging of the brain. Nature Biotechnology, Vol. 21, Issue 7, 803-806. 8. Jung-Taek Oh et al (2006). Three-dimensional imaging of skin melanoma in vivo by dual-wavelength photoacoustic microscopy. 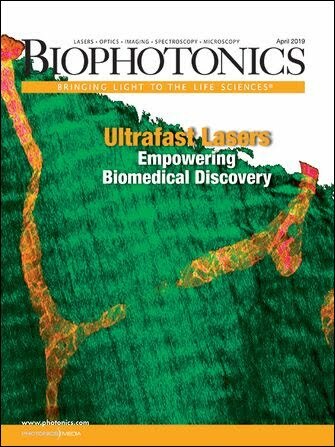 Journal of Biomedical Optics, Vol. 11, Issue 3, p. 034032. 9. Z. Xu et al (2011). In vivo photoacoustic tomography of mouse cerebral edema induced by cold injury. Journal of Biomedical Optics, Vol. 16, Issue 6, p. 066020. 10. Z. Xu et al (2010). Photoacoustic tomography of water in phantoms and tissue. Journal of Biomedical Optics, Vol. 15, Issue 3, p. 036019. 11. Bo Wang et al (2010). Detection of lipid in atherosclerotic vessels using ultrasound-guided spectroscopic intravascular photoacoustic imaging. Optics Express, Vol. 18, pp. 4889-4897. 12. J. Yao et al (2009). Evans blue dye-enhanced capillary-resolution photoacoustic microscopy in vivo. Journal of Biomedical Optics, Vol. 14, p. 054049. 13. K.H. Song et al (2009). Near-infrared gold nanocages as a new class of tracers for photoacoustic sentinel lymph node mapping on a rat model. Nano Letters, Vol. 9, Issue 1, pp. 183-188. 14. C. Kim et al (2010). Sentinel lymph nodes and lymphatic vessels: noninvasive dual-modality in vivo mapping by using indocyanine green in rats – volumetric spectroscopic photoacoustic imaging and planar fluorescence imaging. Radiology, Vol. 255, pp. 442-450. 15. M.L. Li et al (2008). Simultaneous molecular and hypoxia imaging of brain tumors in vivo using spectroscopic photoacoustic tomography. Proc IEEE, Vol. 96, Issue 3, pp. 481-489. 16. L.V. Wang and S. Hu (2012). Photoacoustic tomography: in vivo imaging from organelles to organs. Science, Vol. 335, No. 6075, pp. 1458-1462. 17. C.P. Favazza et al (2011). In vivo photoacoustic microscopy of human cutaneous microvasculature and a nevus. Journal of Biomedical Optics, Vol. 16, Issue 1, p. 016015.